As is the case with many of these dream-inspired flashes of brilliance, it turned out to not be quite as earth-shattering as it seemed at the time … but it’s still something I feel is worth sharing. And thus, this article was born. In the dream I was out in nature with a friend who was carrying a bowl full of cherries. He showed me the bowl, beaming at how ripe and beautiful and perfect each one was. It was the best bowl of cherries anyone ever saw, and each individual specimen was flawless. My friend couldn’t be more proud of what he had gathered. I agreed, it was the perfect bowl of cherries. The issue that came up, however, was when I asked what he was going to do with those cherries. “I’m going to give them out to the people I work with,” he beamed. … but what if someone doesn’t like cherries? The thought dumbfounded him. He’d chosen what he thought was the best type of fruit, and chosen the highest-rated example of each of those cherries. When we’re making choices of what to put together for something greater, it’s always tempting to choose the very best of what’s out there. And, given the concept of cherries as a perfect fruit (as in “life is like a bowl of cherries”) it can be entirely tempting to fill your bowl with cherries, just as my friend had. But things don’t always work that way, and this approach to perfection will only appease a select group of people. If my friend’s goal was to make the best cherry pie ever, he might have been onto something – but that wasn’t the goal. Instead his goal was to distribute solutions (a treat) to a variety of users (his coworkers). Each of those people are different from one another, and as much as people like cherries, there are surely some who don’t – which is why when you’re looking for solution to a variety of user problems you need to vary your solutions. But more than just varying your solutions, you also need to find solutions that all work together. A fruit salad is a perfect example of this kind of solution. Sure, you can have cherries – but you can also have bananas and apples and grapes and kiwi and anything else you want – as long as they all work together. Some people will enjoy every part of the salad, and it’s in those instances that everything you have completely gels (like a customer who might interact across social, email, print advertising, retargeting, etc.) But you’ll also find a lot of people who will only connect through one of your fruits. They’ll skip the cantaloupe and go straight for the pineapple (like I do), but the cantaloupe is still a welcome addition that works perfectly with everything else that’s mixed in – and some (like my middle son) will gladly go for the cantaloupe. Why, in my dream, I made the connection between these fruit selections and the process of selecting tech vendors and building a marketing mix is beyond me, but the general concept has stuck with me ever since. Yes, it’s common sense for the most part – but it’s also something worth keeping in mind as you select the suite of solutions you work with. You could fill your marketing suite with all the top-rated solutions, but that doesn’t mean you’re solving your problems. 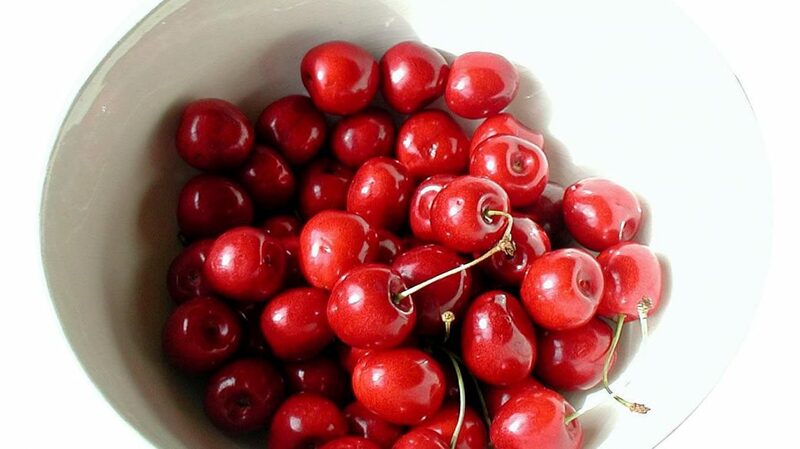 A bowl of cherries is great – but only for people who like cherries. Bonus tip: Just because something isn’t ripe when you’re picking it, doesn’t mean it won’t be when it’s time to use it. Like those bananas in your salad, if you choose perfection without taking into account that it will continue to ripen, you might end up with something rotten in the end. Choose the right things at the right time, and always remember you can always pick something that’s not quite ready but given ample time and the right environment, you could end up with something great. … of course, also remember that perfect fruit can also rot or have a worm eating it from the inside. We’ve had our vendors like that too.